Holy Cross Church, Leicester: One of the stained glass windows of the Catholic Church of the Holy Cross, New Walk. The present church replaces a much smaller one from the mid 19th century - still preserved behind the ritual east end of the church. The eastern sections were built between 1928 and 1931 by Arthur Young and A. D. Reid of London. 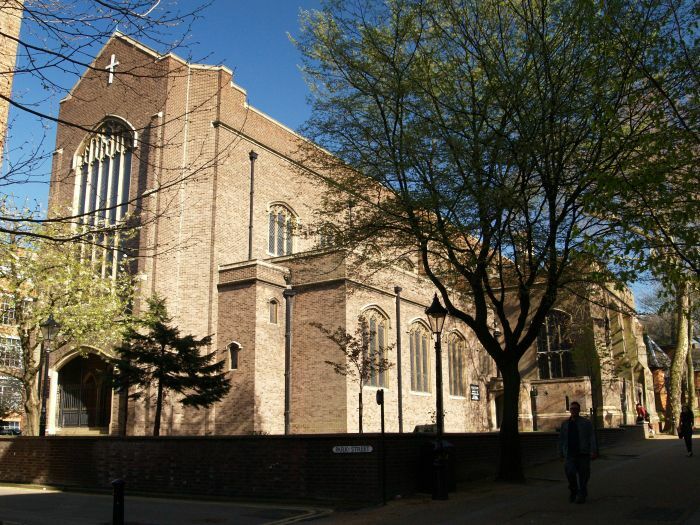 The nave and facade were added in 1956-1958 by Alan Sharp. It is a brick building in a somewhat perpendicular style. Holy Cross Church, Leicester: One of the very beautiful stained glass windows. Holy Cross Church, Leicester: The following is copy of the information plaque on the wall of Holy Cross Church to remind us of some uncomfortable truths concerning English history but at least things changed for the better! eventually! : The Dominican Friars (Blackfriars) came to Leicester in 1247 and were given the church of St Clement by the canons at Leicester Abbey. With the support of King Henry III and Simon de Montfort, 6th Earl of Leicester, the Friars built a priory around this church. It became known as 'the Blak Frears in the Ashes' because of the many ash trees in the grounds. The site is now the disused Leicester Central Railway Station. off Blackfriars Street and Friars' Causeway. On the 10th November 1538 the priory was surrendered to State greed by the prior, Father Ralph Burrell OP. 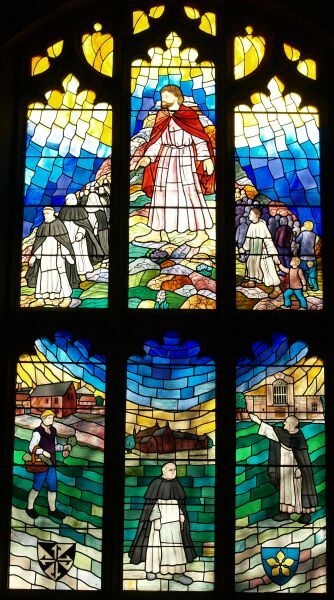 Those friars who did not apostatise and conform to the State religion went into exile in Flanders, with some of them returning to work in England at the risk of martyrdom. In 1657 Fr Philip Howard OP, later Cardinal Howard, the brother of two dukes of Norfolk, persuaded his superiors to found Holy Cross Priory at Bornhem, Flanders, to train friars for the English Mission. 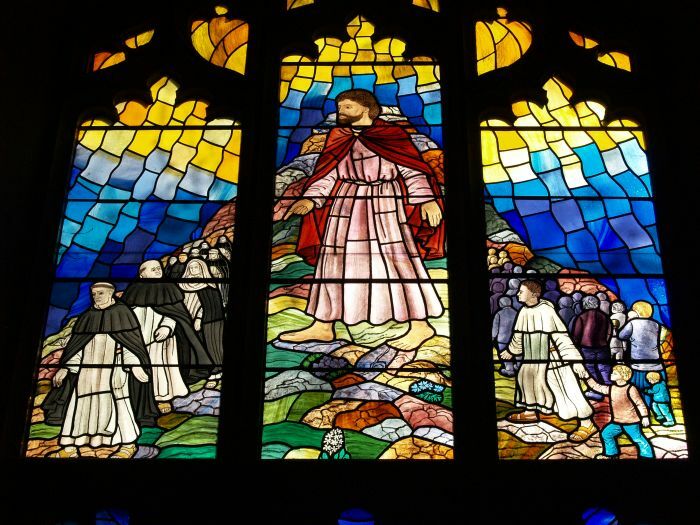 In the dark Penal times (1559-1829), when the State persecuted and killed many Catholics for their faith, the first Dominican missionaries had to travel disguised and celebrate Mass secretly. Fr John Clarkson OP began the Leicester Mission in 1746. Fr Benedict Caestryck OP moved to a small house at the corner of Dover Street and Wellington Street, where he said Mass. 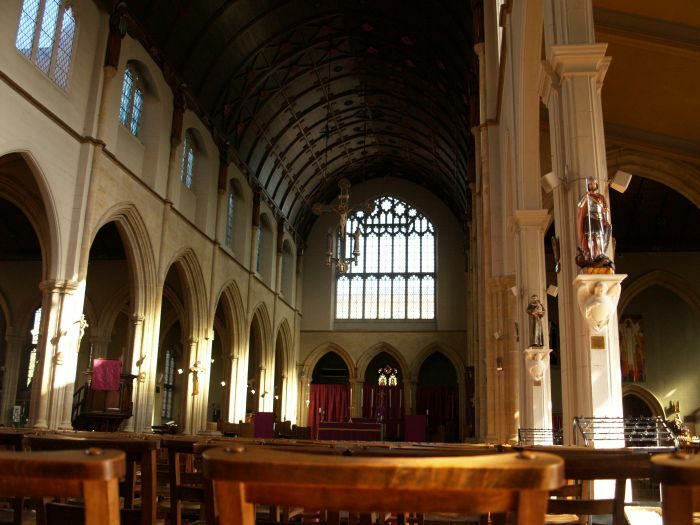 Under his inspiration, the first Holy Cross Church was built, opening in 1819. It became a priory in 1882. During this period the friars opened Mass centres around the city. 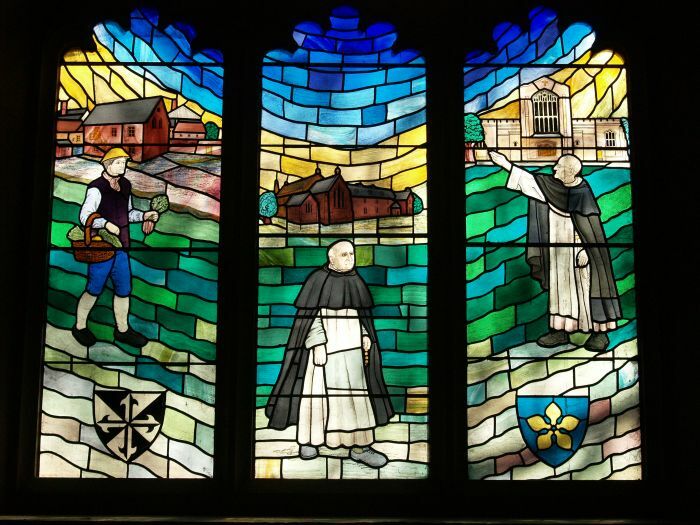 Thus all the parishes in Leicester began as Dominican foundations. The famous preacher and author, Fr Vincent McNabb OP, built this larger church. 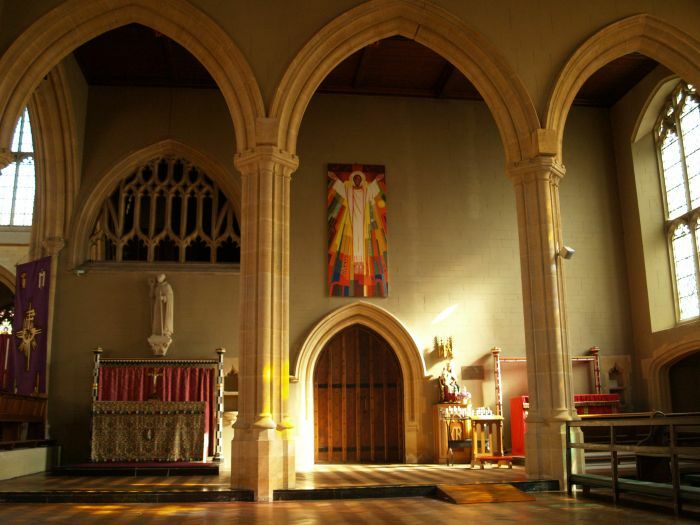 The choir and transepts were opened and the high altar was consecrated in 1931. Later the nave was completed and the church consecrated on May 14th 1958.